The Alentejo is situated in the south of Portugal, between the River Tagus (Tejo) and the Algarve. To the east, its frontier is with Spain and to the west it is bathed by the Atlantic Ocean. 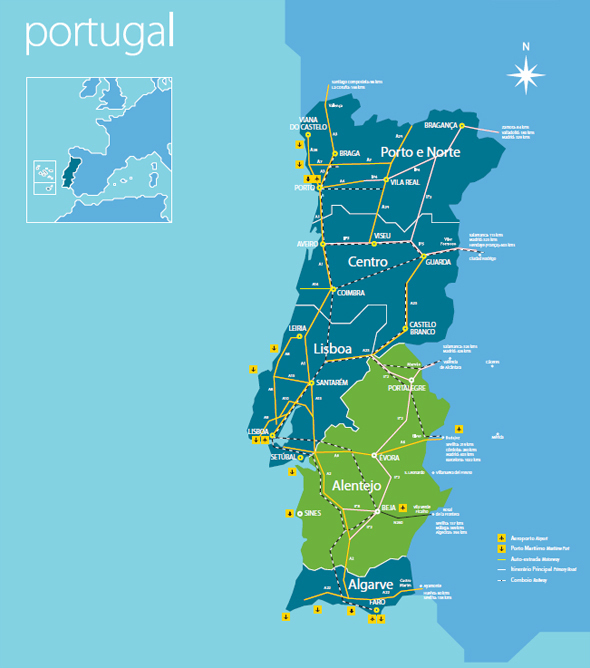 It is an extensive region, essentially rural and thinly populated, occupying a third of the whole of continental Portugal. The beauty of its landscapes and the quality of its archaeological, monumental, architectural and ethnographic heritage and, par excellence, its gastronomy and wines, provide it with exceptional legacies to be discovered through nature tourism and cultural tourism.